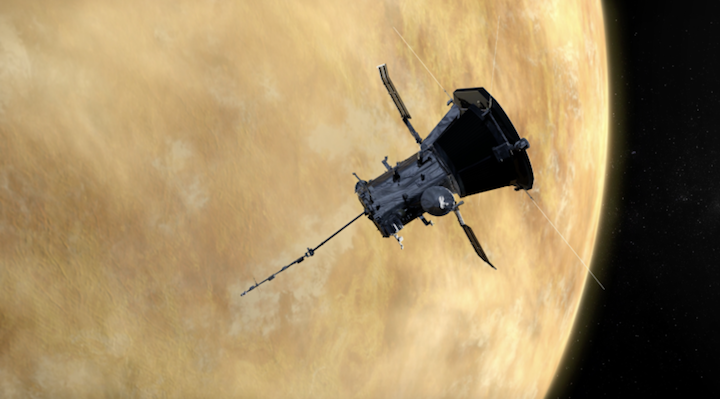 NASA's Parker Solar Probe is swinging by Venus on its unprecedented journey to the sun. 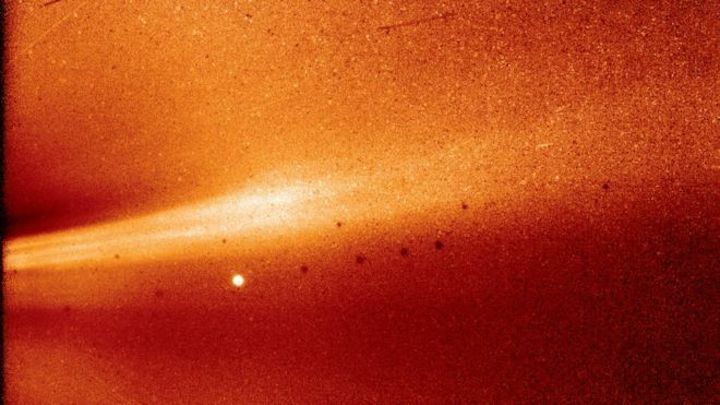 By the end of October, Parker will shatter the current record for close solar encounters, set by a NASA spacecraft in 1976 from 27 million miles (43 million kilometers) out. Parker will get within 15 million miles (25 million kilometers) of the sun's surface in November. Twenty-four such orbits — dipping into the sun's upper atmosphere, or corona — are planned over the next seven years. The gap will eventually shrink to 3.8 million miles (6 million kilometers). 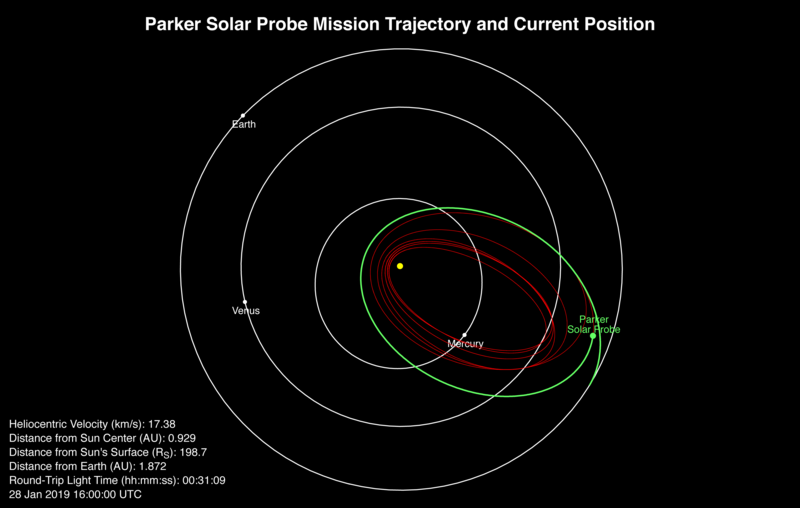 Just weeks after making the closest ever flyby of the Sun, Nasa's Parker Solar Probe is sending back its data. The bright dot is actually Mercury. The black dots are repeats of the little world that occur simply because of the way the picture is constructed. Parker's WISPR instrument acquired the vista just 27.2 million km from the surface of the Sun on 8 November. The imager was looking out sideways from behind the probe's thick heat shield. The Nasa mission was launched back in August to study the mysteries of the Sun's outer atmosphere, or corona. This region is strangely hotter than the star's "surface", or photosphere. While this can be 6,000 degrees Celsius, the outer atmosphere may reach temperatures of a few million degrees. "We need to go into this region to be able to sample the new plasma, the newly formed material, to be able to see what processes, what physics, is taking place in there," explained Nicola Fox, director of the Heliophysics Division at Nasa HQ in Washington DC. "We want to understand why there is this temperature inversion, as in - you walk away from a hot star and the atmosphere gets hotter not colder as you would expect." The latest science from the mission is being featured here at the American Geophysical Union Fall Meeting - the largest annual gathering of Earth and space scientists.